Effectively manage payments in your store. Feel free to restrict payment methods by shipping address, customer groups, store view or product attributes in Magento 2. Restrict cash on delivery, check/money order etc. It is very important to properly organize the payment process in your store because receiving payments for products – is the core of every business. With the help of the Payment Restrictions module you can create various rules to effectively manage access to payment methods in your store as well as create flexible payment conditions for certain customers or products. The module allows you to create flexible payment rules with various options. For example, you can restrict access to some Magento 2 payment methods for the customers from certain countries and give more options to the trusted clients. In other situation, you can allow bank transfer for the wholesale customers, who order a big amount of goods. Thus, with the extension you’ll be able to fine tune your payment system to maximize its productivity. Use product attributes to create Magento 2 product based payment methods restrictions. For example, you can disable ‘check/money order’ method for cheap items or for products of a certain material. With the help of the extension it is possible to provide privileged groups of customers with additional payment options such as ‘cash on delivery’ or ‘check/money order’. At the same time you can disable offline payments for not logged in store users. 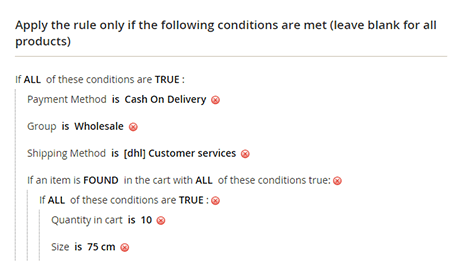 You can use different shipping parameters (e.g. country, city, state, zip code etc.) 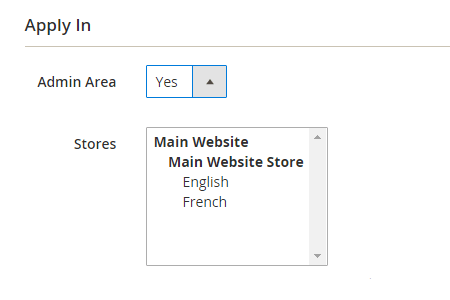 as the base for the restriction in your Magento 2 store. Say, restrict 'cash on delivery' method for the regions where your couriers don’t deliver goods. Payment rule options allow setting certain day and time when the method will be restricted. Let’s say your online shop doesn’t work on Sundays, so you can restrict all the payment methods in Magento 2 for this day. Use customer attributes to create payment rules with special conditions for individual buyers. Various attributes such as shipping address, date of registration, customer group, gender and many others are at your disposal. You can restrict payments for all products, backorders only or ‘non backorders’ - the products that are in stock and can be ordered right now. To avoid cases when admin forgets that certain magento payment gateways can't be used for some customers or situations, you can set the restrictions to apply in admin panel as well. This option can be very useful in case you have several websites in different countries or for different customer groups. I often have to customize extensions that guys in my team buy for our store. Many people still code poorly for magento 2. This was the first extension we bought from amasty and it really was a pleasant surprise. The code is good and our store team likes the functionality. So, definitely recommended. I was looking for a module to limit payment options based on customer groups. This one worked great! It was easy to configure and start using it. Also, amasty added purchase history to conditions so now you can create more favorable experience for loyal customers. This is quite helpful. Thanks, guys! We've already used amasty plugins for magento1 shops and they worked pretty well. So, when our client decided to migrate to m2, without hesitations we collected the same list of amasty tools as we used for m1 version (except for some plugins they don't have for m2). To my surprise the app refused working on magento 2.1.3 version. But a helpful amasty team almost instantly improved the compatibility and after some tweaking, the app runs great. Would I recommend this plugin and this developer? Definitely yes. Bought it together with the Shipping restrictions app. Both apps meet all our requirements and all described options perform greatly. Yep, I had to spend a couple of hours trying to set up all features, but now our payment system works like a charm. – New: PayPal Express payment method support implemented. – Fixed the issue with rules that were not worked correctly when the customer groups condition was applied. – The ACL issue was fixed. – The missing advanced conditions were fixed.